The Internal Revenue Service reports that so far this tax filing season, refunds are 9% down from last year. Reasons for this vary, but much of the change is attributed to the new tax law. Tax withholdings for federal taxes were reduced overall back in February 2018. If you didn’t do a “Paycheck Checkup” to compare your withholdings with your projected tax liability, the bottom line on your 2018 tax return could be a lot different than in the past. Many taxpayers focus on whether they get a refund or owe more in taxes when it’s time to file. However, that is not the best indicator of your actual tax liability. Depending on a big refund to pay off bills or take a vacation also might not be the best way to manage your finances. Think about it. Getting a tax refund means that you let the government use your money all year long before letting you have it. In other words, a refund is an interest-free loan to Uncle Sam. Does your bank lend you money for free? No! So why should you loan money to anyone – least of all the government – for free? The IRS Withholding Calculator https://www.irs.gov/individuals/irs-withholding-calculator guides you through the steps to figure out your tax liability for 2019. Before using the calculator, make sure you understand how the IRS defines its terminology, know your pay frequency and note any life or work changes that impact your taxes (e.g., marital status). Your refund is not an indicator of your tax liability. Potentially, it’s an interest-free loan to the government that prevents you from using your own money. Doing a “Paycheck Checkup” get control over your taxes for next year and avoid making an interest-free loan or having to pay a lot next tax filing season. Workshops are great opportunities to share valuable information that business owners can use immediately. Last week, I was asked to talk about business taxes with a roomful of entrepreneurs in various stages of starting up their businesses. In spite of being at the start-up stage, they asked some pretty sophisticated questions. Quite impressive. Operating as a Sole Proprietor is the simplest form of business for one person. It requires no legal paperwork. 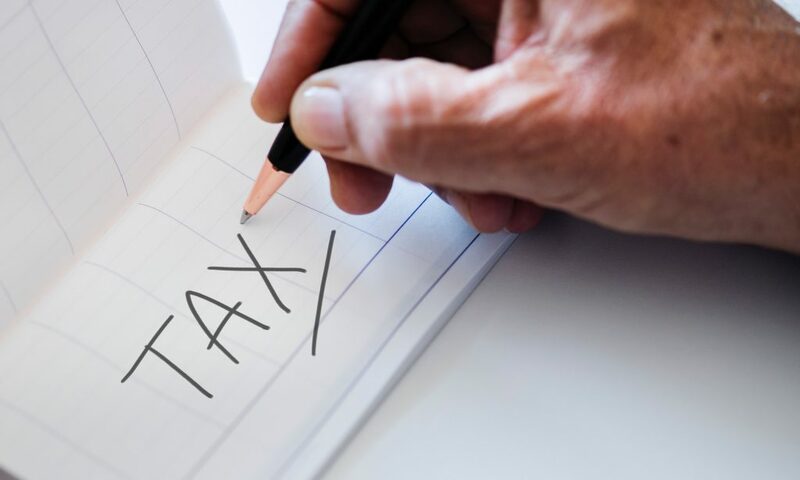 Net business profits from the business are reported on a separate schedule on the owner’s IRS Form 1040 and taxed at the owner’s individual rate. Two or more people can form a Partnership by executing an operating agreement and requesting a tax ID from the IRS. Partnerships are required to file IRS Form 1065, “U.S. Return of Partnership Income”. Partners receive an IRS Form K-1 to report the allocated portion of income and expenses on her or his individual return. An option for one person or up to 100 domestic entities is to form a Subchapter S Corporation. Sub S Corporations are required to file an IRS Form 1120S, “U.S Income Tax Return for a Sub S Corporation”. Shareholders receive a K-1 to report the allocated portion of income and expenses on her or his individual return. Qualifying pass-through businesses get a deduction of 20% of qualifying net business income (IRS link to more info – https://bit.ly/2Mg97wK ). Special rules apply for services that depend on reputation or skill of high-income owner/employees. Higher limits for business asset depreciation that generally result in higher deductions (IRS link to more info – https://bit.ly/2skk9FG). Losses from pass-through businesses can no longer offset other income, such as wages, investments or another business (IRS link to more info – https://bit.ly/2M18MLR). Businesses of any type are obligated to register in their state and local jurisdiction and pay the required taxes and fees. Depending on location, that could involve an annual business license and business property taxes. Last week’s business start-up workshop was filled with valuable information that attendees could use immediately. These three basic topics are a great start for every business owner to make good choices about business taxes.